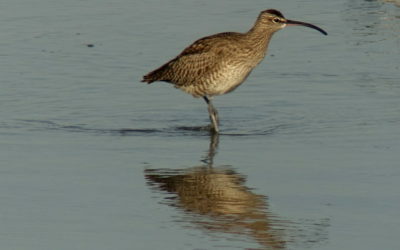 A group of young schoolchildren, none much taller than a curlew, came fluttering onto the stage in bird costumes. Welcomed with smiles and applause, the performance by these young souls at “The Great Flight of Shorebirds” conference in Hwaseong, Republic of Korea, organised by KFEM and Hwaseong City and supported by Birds Korea was followed by a series of expert and often-passionate presentations – decision-makers, activists, researchers, conservation scientists and representatives of fishing cooperatives from the ROK, PR China, Australia and Japan (thank you so much for joining and for your presentations!). Each presentation at the meeting, following on from a short site visit on the 5th and preceding our shorebird count for World Shorebirds Day on the 7th, helped to weave a single narrative befitting the Day: local, national and international collaboration is needed if massive and rapid population declines in species like the globally Endangered Great Knot and Far Eastern Curlew are to be slowed or reversed; if local and regional fisheries and shellfisheries are to be restored; if remaining tidal flats in Hwaseong and throughout the Yellow Sea are to be conserved; if the benefits of wetland conservation are to be properly realized. Hwaseong’s wetlands – before large-scale reclamation in the early 2000s – were known as Namyang Bay. 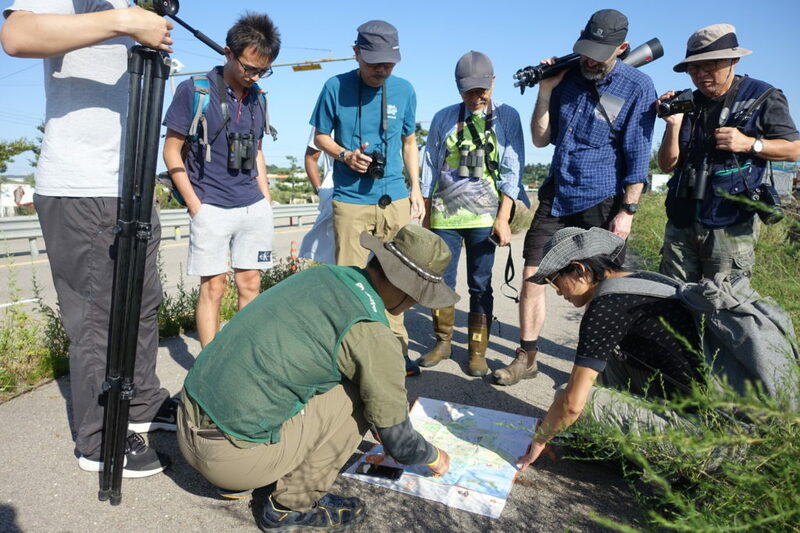 First-recognized as internationally important for shorebirds back in 1988, Namyang Bay’s tidal flats and shallows used to support a thriving shellfishery and massive numbers of shorebirds. 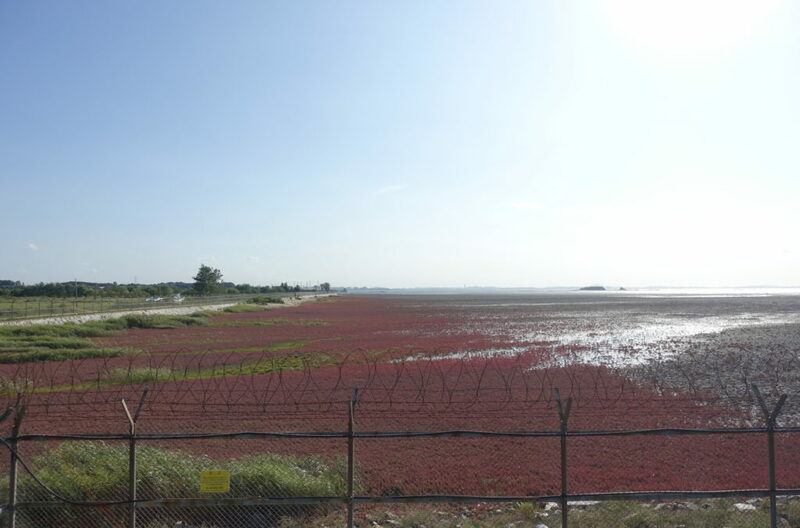 During my own surveys there and along the shores of the adjacent Asan Bay in spring 1998, I felt somewhat overwhelmed by the numbers of shorebirds, many of which moved between the two bays dependent on the state of the tides. 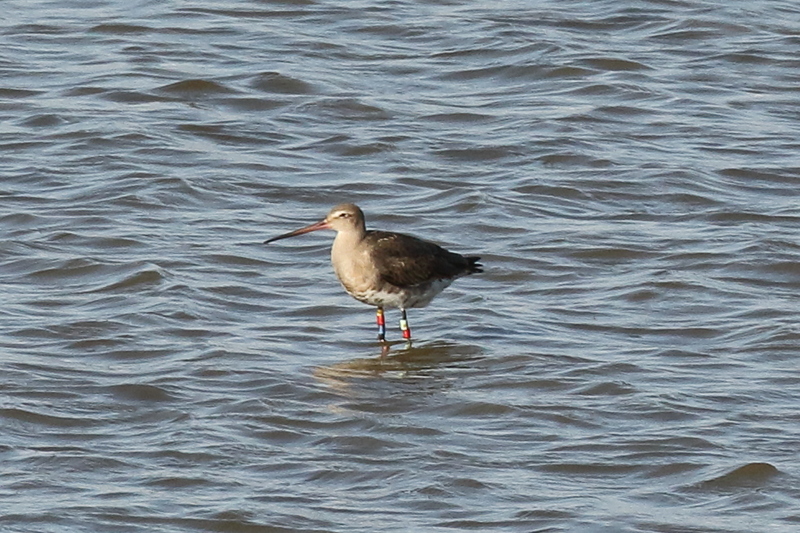 Highlights included a massive flock of 18,200 Black-tailed Godwit (which also included a single Hudsonian!) and at least 30,000 Great Knot. These counts were far from complete, however. 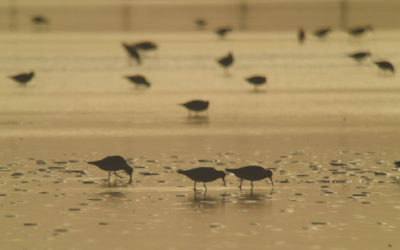 Larger teams of government researchers at the time estimated that probably 70,000 shorebirds staged in Namyang Bay each year during northward migration, with an additional 45,000 staging at Asan. Fast forward to the present, and just like the better-known Saemangeum, most of Asan Bay has been destroyed. 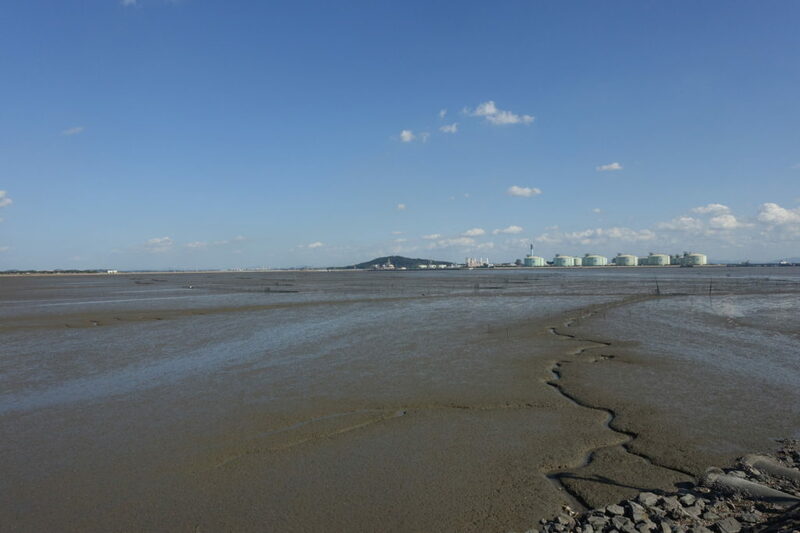 In Namyang Bay too, more than 6,000 ha of deep creeks, black muds and red saltmarsh have been reclaimed, replaced by half-used rice paddies and an extensive reclamation lake. Outside of the seawall only 1,500 ha of tidal flat remain, with even half of this relict area (the “Kia Tidal Flat”, so named because it lies in the shadow of a massive Kia car factory complex) again threatened by a recently-revived reclamation scheme which was first planned and then given up several decades ago. Much has been lost – but not all; not nearly all. The wetlands at Hwaseong are still internationally important as defined by the Ramsar Convention. 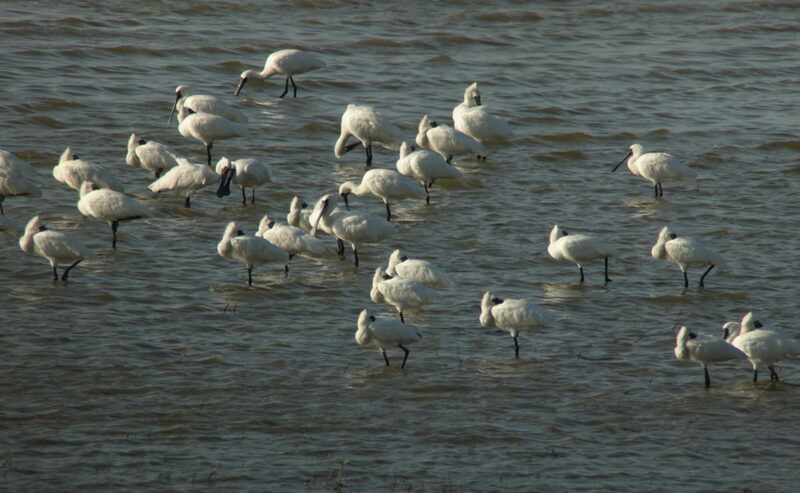 They regularly support internationally important concentrations of at least four threatened waterbird species (Black-faced Spoonbill EN; Far Eastern Curlew EN; Great Knot EN; and Saunders’s Gull VU) and smaller numbers of several additional threatened and Near Threatened species (e.g. Oriental Stork EN and Chinese Egret VU); they support at least 40,000 shorebirds every year, with 35,000 Great Knot alone counted there in April this year; and they support 9-12 waterbird species regularly in internationally important concentrations of 1% or more of population, including at least seven species of shorebird. 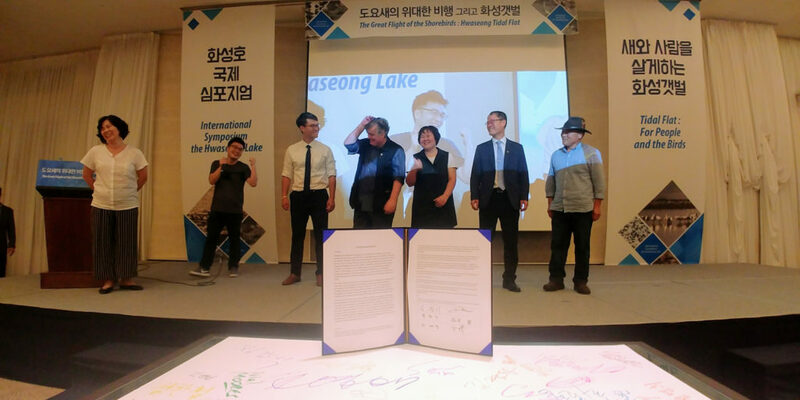 Moreover, a local movement led by Hwaseong KFEM to conserve the Hwaseong wetlands is building rapidly, supported by the national office of KFEM, Birds Korea and a growing network of domestic and overseas experts organisations. 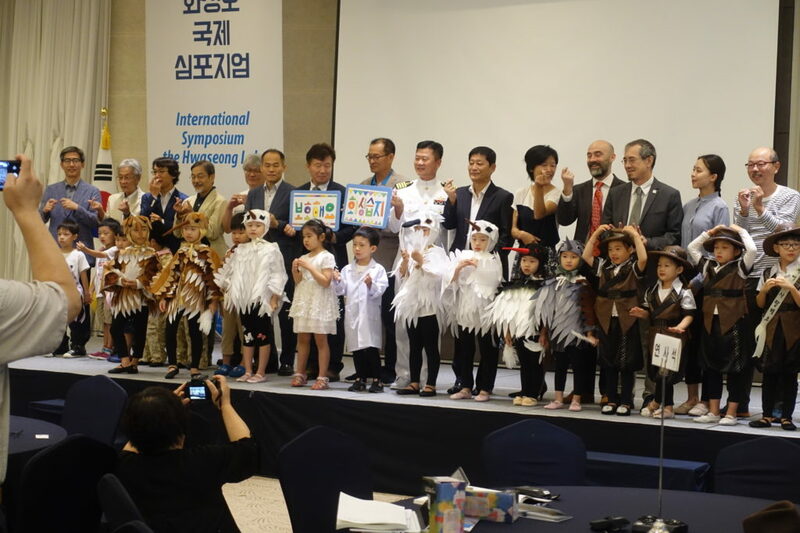 All of us are offering our support to Hwaseong City and national decision-makers in a shared quest for conservation of biodiversity and the wise use of wetlands. Closing remarks: representatives from Hwaseong KFEM, Hwaseong City, Birds Korea, and HQ KFEM (Seoul) thank everyone for their participation in the meeting and in signing the Hwaseong Declaration – a document designed to build consensus and support for conservation of the Hwaseong wetlands © Chris Purnell.